The experts at Linear Graphics LLC specialize in screen printing and digital printing for both general and commercial customers. From banners, to t-shirts, to apparel and more, you’ve come to the right place for high-quality services. We print anything on nearly any surface! Stop in with your ideas and we’ll print a beautiful design for your project. Our business is proud to be locally-owned and –operated. We serve the Milwaukee County area and beyond, including anywhere in the USA! Established in 1988, we bring extensive experience and expert knowledge to every order. We provide detailed printing both small and large digital jobs. We can print on nearly any surface, giving us the ability to truly customize our service to meet your needs. We offer quick printing at affordable rates. Our printing pricing has not changed since 1988 to keep prices affordable! Linear Graphics LLC has been the premier source for digital and screen printing in Milwaukee, WI and the surrounding areas since 1988. We are dedicated to providing our clients with exceptional service and high-quality products. We specialize in both large and small digital printing, as well as screen printing. Whether you need a custom print of a t-shirt, hat, banner, sign, booklet, or other product, our printing experts have you covered. Our motto is we print anything on anything… almost! So, bring in a piece of wood, glass or plastic, and we can create a gorgeous print for your custom needs! At Linear Graphics LLC, our number one priority is our clients. We are committed to delivering efficient service, detailed printing and competitive prices. This level of excellence has earned us an established reputation in the local print community. 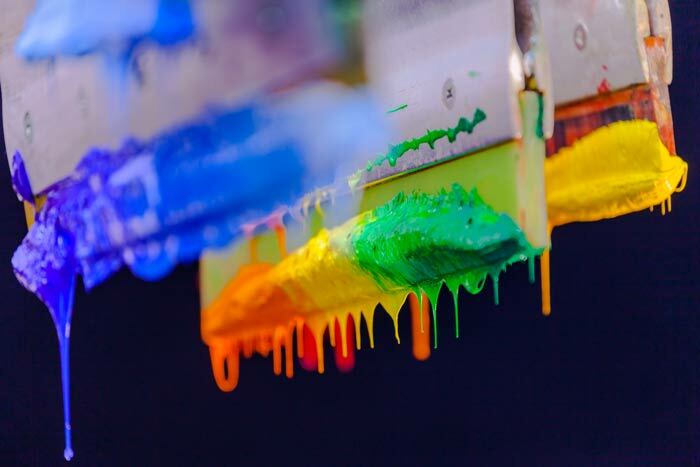 For decades, we have been the go-to source for individuals and businesses throughout the area in need of quality screen and digital printing in Milwaukee, WI. Our customers know they can count on us to get the job done right, the first time, quickly. Contact our team today to get started on your next custom project. Join our long list of satisfied customers and experience for yourself the unparalleled level of excellence we bring to every job. See our t-shirt styles here! Contact Linear Graphics LLC today for quality products and detailed designs. Enjoy rapid turnaround times and completely FREE delivery in Milwaukee! "At C4C this year, the children were impacted and forever changed in the presence of God. Their mindsets were changed as they were soaking in..."
"The Milwaukee Bucks are pleased to include Linear Graphics as a member of our valued vendor team. Larry and his staff shared their service-o..."
In order to keep prices low, we offer custom quotes. Call us today!